Bridgedale Socks joins Dove Step! It is with great pleasure that I can announce the second Dove Step sponsor is Bridgedale socks! Bridgedale join Blackbar Brewery in adding practical support to the Dove Step trek. As regular readers of this blog and our tweets will know we have used Bridgedale socks to great effect during all our training walks this year. I currently have two pairs which have covered over 100 miles in the last 20 days as part of my ongoing Foot It effort and Dove Step preparation. The other team members have similarly benefited from the quality of Bridgedales in their respective training. We are delighted that our feet will do the 300 miles safely supported by Bridgedales and a whole-hearted thanks to Birdgedale for adding their support to Dove Step and Operation Turtle Dove. In other news we are extremely proud to announce Dove Step fellow Sven Wair is helping us get organised and has taken on the role of logistics manager. This will massively benefit the team as we can concentrate on walking and our kit knowing that we are properly organised otherwise. Many thanks Sven – you are a true gent. 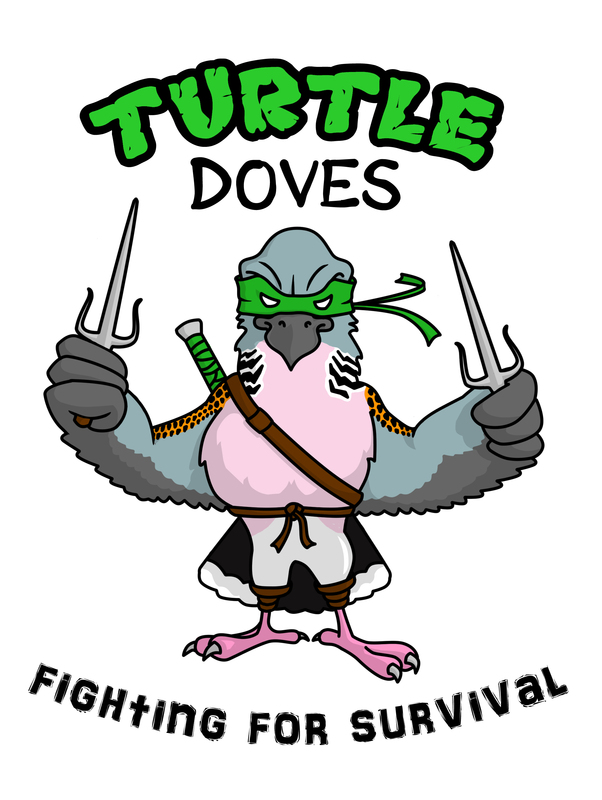 Speaking of gents the Dove Step team would like to extend a colossal thank you to Gyr Crakes (aka Mark Lawlor) who has significantly boosted our JustGiving fundraising total via sales of his ‘Teenage Mutant Turtle Dove’ t-shirts. You can still get yourself one over on the Zazzle store. Next Post 59 days until Dove Step!